1 Bedroom Apartment To Rent in Southsea for £500 per Calendar Month. This private en-suite room has everything you need, including: Double bed, ensuite with shower, desk & more! 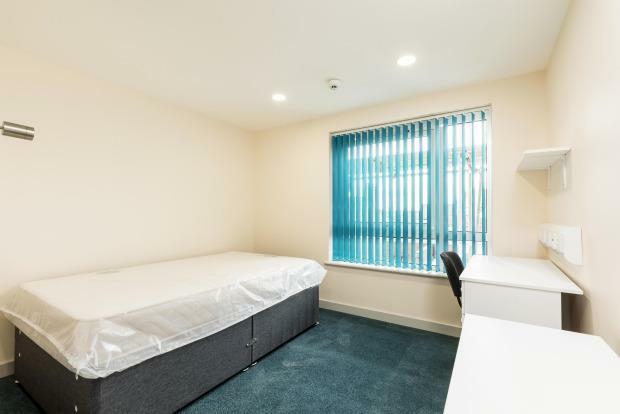 There is also a communal laundry area and bike storage available on the lower ground floor. The kitchen is fitted with brand new appliances and will be shared with other students on your floor and has additional space for dining. To avoid disappointment, visit our office conveniently located at 28 Hampshire Terrace, Portsmouth, PO1 2QF or call us now to discuss the available accommodation. All utility bills INCLUDED in the rent, with the exception of internet and TV license.